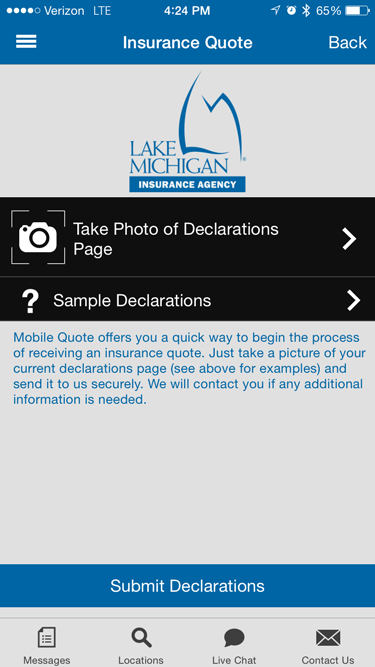 News from LMCU: Mobile quote now available for insurance! Mobile quote now available for insurance! Mobile quote offers you a fast and easy way to get an insurance quote. Simply take a picture of your current insurance declarations page and send it via the secure LMCU app. The mobile quote feature is located under our financial tools section and makes it easy to discover how much you may be able to save! To download the LMCU app visit Google Play Store or the App store.